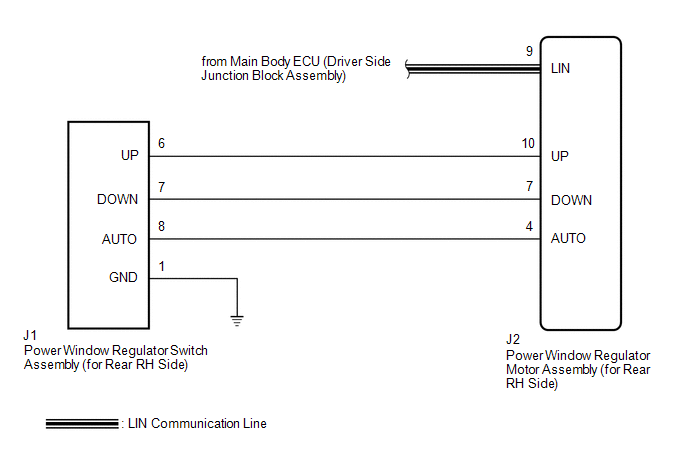 This DTC is output when the ECU built into the regulator motor determines that the power window regulator master switch assembly or power window regulator switch assembly is stuck. DTC B2312 can be stored in the power window regulator master switch assembly and in each power window regulator motor assembly (power window ECU). (a) Check for DTC output conditions. (d) Enter the following menus: Body / D-Door Motor / Data List. 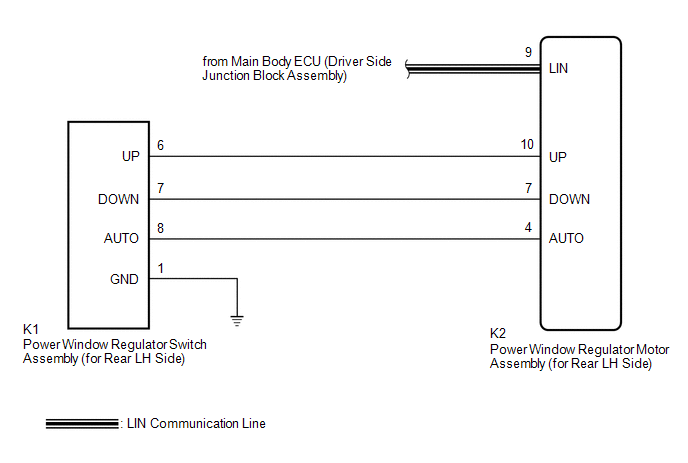 (a) Disconnect the power window regulator master switch assembly connector. (b) Disconnect the power window regulator motor assembly (for driver side) connector. (d) Enter the following menus: Body / P-Door Motor / Data List. 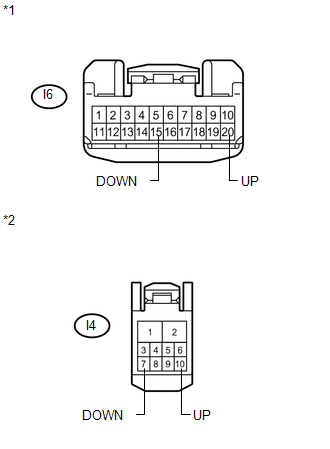 (a) Remove the power window regulator switch assembly (for front passenger side) (See page ). 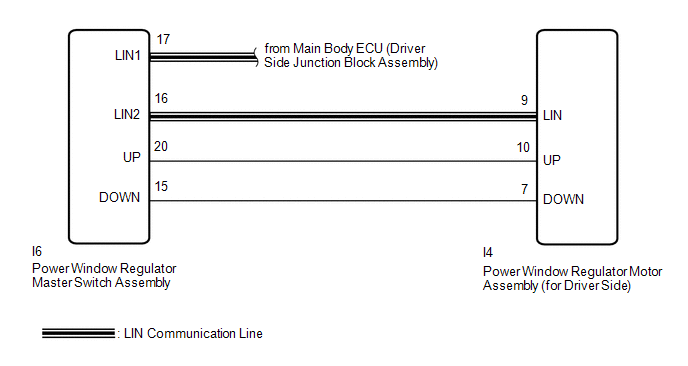 (a) Disconnect the power window regulator motor assembly (for front passenger side) connector. (d) Enter the following menus: Body / RL-Door Motor / Data List. 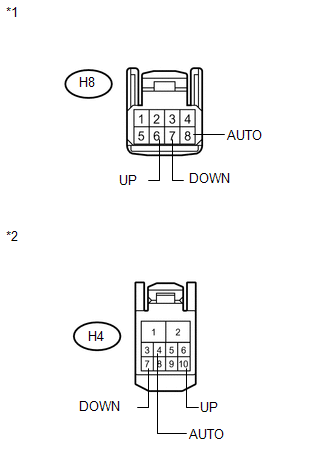 (a) Remove the power window regulator switch assembly (for rear LH side) (See page ). 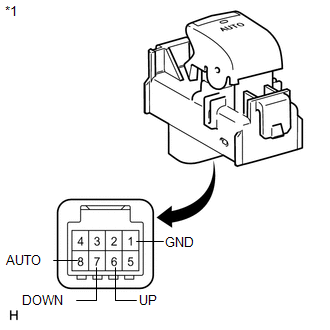 (a) Disconnect the power window regulator motor assembly (for rear LH side) connector. (d) Enter the following menus: Body / RR-Door Motor / Data List.